It is October, and even though the temperatures here in my tropical part of the world have dipped only into the low 80s — and we’ll take it, happily, because it’s what we can get this week — the Hallowe’en season is in full bloom. This year I’ve decided to celebrate the season on my blog by covering the topic of witches. October always makes me think a lot about witches, what they’re about. Their image is everywhere — or images, since there’s not just one picture of them anymore. We’ll cover the “witch as archetype” unit in the spring in my AP Gothic Lit. class. I’ll try to lead my class to explore what literature’s view of witches says about the Human Condition, what the humanity or lack of it in those witches reveals about the authors and readers dissecting them. We’re going to hold them up to the sparkling light of analysis and see what filters out. 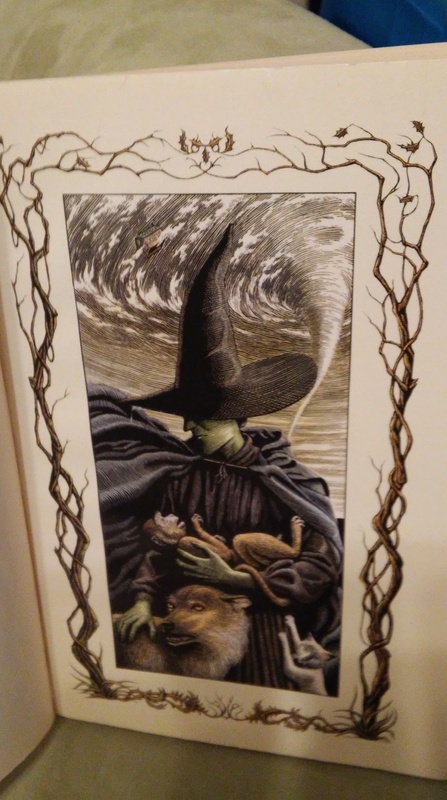 One of the most famous witches in our popular consciousness is, of course, The Wicked Witch of the West, a wretched fiend who would destroy someone else’s dog on a good day and whose obsession with fashion might lead her to murder. 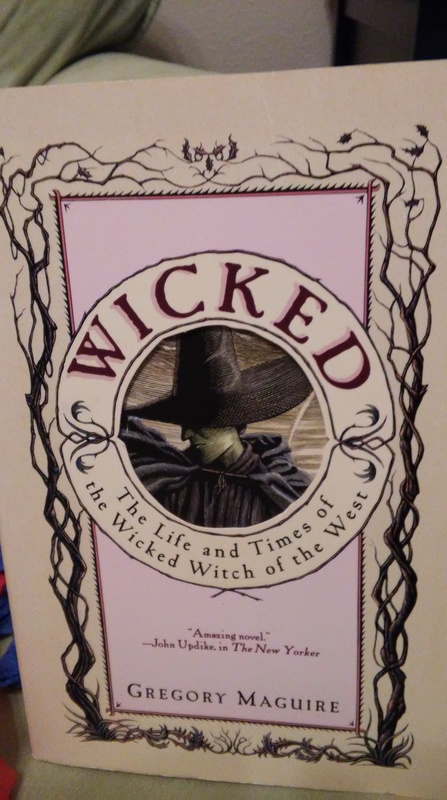 If you’ve never read Wicked by Gregory Maguire, I suggest you should. It was transformed into a Broadway musical, one of those things that puts an author on the map, and while I enjoyed the musical and am extremely happy for Maguire’s resulting success, it doesn’t hold a candle to the novel (which ended up being the start of a critically acclaimed book series). If Maguire had been a less kind man, if he had been able to stomach such a horrendous historical figure, this book would have been about Hitler. Let me explain. During the (first) Gulf War, a traumatically awful case involving two adolescent boys and a toddler boy they’d abducted and murdered was making gory headlines in the UK. I won’t go into the details of what they did to this child they lured away from his mother in a shop, but suffice it to say the bodily things they did to torture this child before they put him on a train track for him to be squashed would give Hannibal Lecter nightmares. They perpetrators, middle-school aged boys themselves, were caught, tried, imprisoned. But they were minors, and so eventually they got out of prison, as young adults. Now, their names had been splashed across the media for their heinous crime. But when they got out of prison, they wanted to start over in life. They wanted new names. There was a debate over whether they should be allowed to have new names, or whether they should have to be saddled with those marks of Cain forever. This got Maguire thinking about names, identity, villains, sympathy. Those boys were in the news. Saddam was in the news. Maguire thought about writing a book about someone who had to live with a villainous moniker — and wondered what it might be like if that person didn’t truly deserve that notoriety. What would it be like to write that person as a sympathetic character? Well, when you want to think of a name that inspires horror, what name do you think of? Hitler. But Maguire, rightly so, couldn’t stomach the idea of imagining that particular figure in a sympathetic way and sure didn’t want to write a book that might lead other people to do so. Maguire’s writing is, as always, imaginative and intelligent. The story is good, but the writing is, too, down at the level of word choice and sentence structure. If you’re looking for something witchy to read, I highly recommend this book.